This book is amazing, from beginning to end. I loved the stories and the insights to this culture I had been until now missing out on.The recipes are easy to follow even if they're not all easy to prepare, meaning, I personally do not have the skill required to complete some of these dishes, but that's not this book's fault. 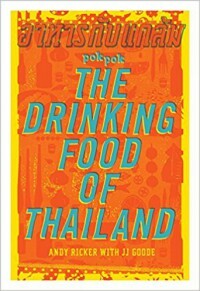 Highly recommended for those who enjoy Thai food and culture. Many thanks to the publisher for the awesome review copy!